We are engaged in offering an excellent quality range of Cookware Lids to the clients, in varied sizes, thicknesses and other specifications. These lids are manufactured using high-grade raw material, sourced from some of the trusted vendors of the industry. Moreover, it is made sure by us to design these products in conformity with the international quality standards. 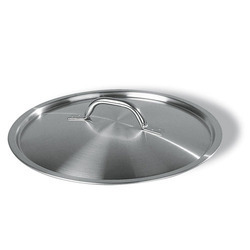 Looking for Cookware Lids ?